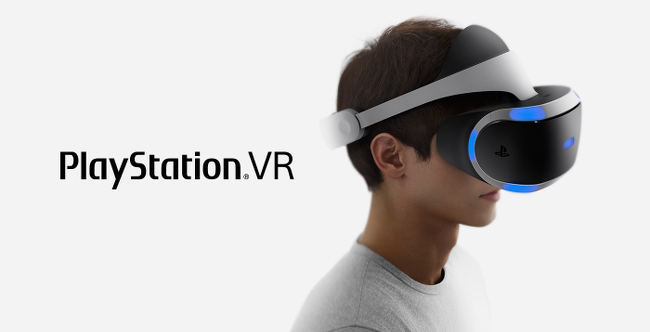 Sony Computer Entertainment UK is pleased to announced that PlayStation®VR will be available to demo at EGX Rezzed during next month’s London Games Festival giving fans the perfect opportunity to experience Sony’s latest entertainment innovation ahead of its October launch. Taking place from the 7th-9th April at the Tobacco Dock in London, visitors to the PlayStation stand will have the opportunity to experience the upcoming PlayStation VR exclusive software titles recently shown at GDC, and available to demo for the first time in the UK including RIGS: Mechanized Combat League and THE PLAYROOM VR. Additional titles available to demo on the stand include PlayStation®VR Worlds and the first UK hands on opportunities with the VR reboot of first-person tank warfare classic, Battlezone, and first-person puzzler SUPERHYPERCUBE, which will launch first on PlayStation® VR. In order to experience a PlayStation VR demo at EGX Rezzed and to avoid disappointment, visitors will need to pre-book their appointment. To be notified when the PlayStation VR demo booking system is live follow @PlayStation UK on Twitter or sign up to receive updates at https://www.playstation.com/en-gb/explore/playstation-vr/get-updates . All PlayStation VR demo participants will need to be in possession of a valid EGX Rezzed ticket and be 12 or over. A limited number of walk-on demos for THE PLAYROOM VR will also be available across the three days. Visitors to the PlayStation stand will also be able to try a range of the best digital exclusive games coming soon to PlayStation 4 including Giant Sparrow’s What Remains of Edith Finch, Heavy Spectrum’s Shadow of the Beast, Dino Dini’s Kick Off Revival, Invent Games’ Strength of the Sword, Housemarque’s ALIENATION and Dreadbit’s Seraph. This entry was posted in 2, Developer, game, games, Games Developer, Sony, train, train 2 game, Train2Game, www.train2game-news.co.uk and tagged 2, EGX, game, Games design, Games Developer, games industry, PlayStation, Rezzed, Sony, train, Train2Game, VR by Train2Game Blogger Team. Bookmark the permalink.